Only in Finland. Not a phrase that might often come up in everyday conversation, but it certainly seems apt when applied to the beer floating festival. This unique event is known as ‘Kaljakellunta’ in Finland, and takes place during the warmer summer months of the northern hemisphere. The beer floating event is open to all members of the public. This egalitarian and open spirit fosters a great, community style atmosphere. 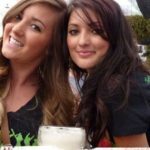 It also helps that everyone who attends the beer floating event is all about having a great time. 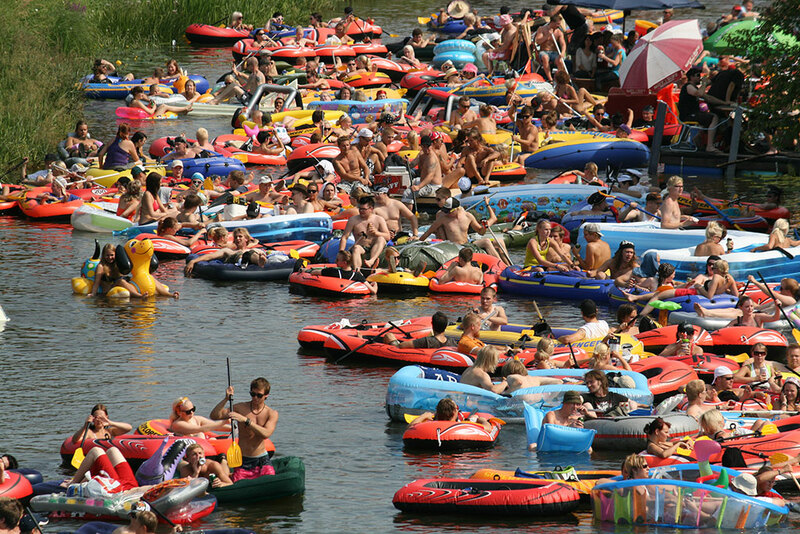 And what could be more enjoyable than lazily floating down a river on a summer’s day, with a cold one safely in hand? 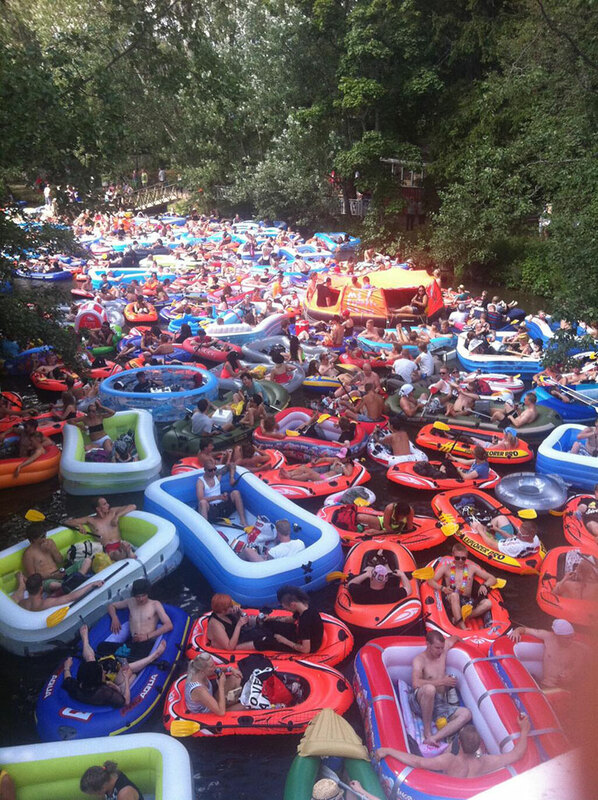 During the event, the well watered participants quite literally float along on top of either the Kerava River or on the Vantaa River, with the starting point at the southern Finnish city of Vantaa, which, with a population of just over 200,000, is the fourth most highly populated city in Finland. The route taken by the participants of the beer floating event comes to an end someway down the river, at a beach in the Finnish capital, Helsinki. People come from far and wide to take part in the festival of fun, jumping and scrambling aboard makeshift, often tiny, rubber rafts, as well as slightly larger paddle boats, which are loaded to the brim and filled to bursting point with stacks of beer. Paddles and oars are optional, although they may be useful for navigation. In any case, most of those who take part are likely, by the end of their beer soaked journey, not to care much where they are! The beer floating event is not organised by any particular group, which is great is it allows the event to retain its spontaneous, down to earth feel, which would probably be somewhat tarnished if the event was organised by a marketing firm or some brewing giant. 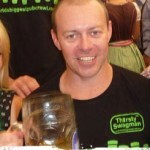 Instead, the beer floating event is organised through social media platforms and other websites. The beer floating event also has a sister event that takes place around the same time, in the city of Oulu, which is a bit further north, nearer to the centre of the country. Oulu is famed for its early adoption of, and experimentation with, new technologies, and is Finland’s 6th largest urban centre. The beer floating event is now in its 17th year, no mean feat for what began as a small gathering of less than ten people back in the mid 1990s. The popularity of the beer floating festival has since risen exponentially, as word of mouth of this extraordinary and unusual event has grown. In recent years, the number of participants has rocketed to over 5,000, making for quite a magnificent sight. 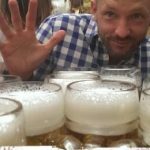 Here’s hoping that the unique beer floating event will only go from strength to strength in the years ahead. The only question that remains is: how much is a plane ticket to Finland? Visit the Kaljakellunta website for dates and more info on this fine event.